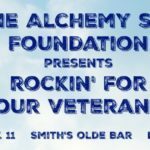 In 2014, the Alchemy Sky Foundation (ASF) was created to bring the healing power of music to aging veterans who live fin Atlanta. Music therapy helps these seniors cope with stress, anxiety, and depression, and improves their cognitive, speech, physical, and social skills. 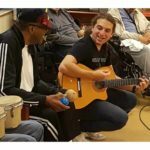 Through the exclusive generosity of our donors and supporters, the ASF has already funded 56 bi-monthly group music therapy sessions since its inception. We are looking to expand our program and need your help. Starting in August 2017, we will enhance our healing services by adding 30-minute one-on-one therapy sessions with our veterans. These sessions will occur twice a week and provide more in-depth access for those that need it most. 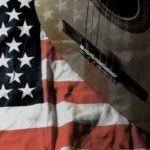 We process music with almost every part of our brain and our approach to music therapy engages these veterans in ways that is making a real difference in their happiness and lifestyle. 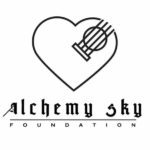 As we approach Memorial Day, the Board of Alchemy Sky Foundation and I respectfully request a donation towards our two programs for veterans – Group Music Therapy Sessions and our One-on-One Sessions. Your support allows us to bring joy to these deserving, aging veterans that have sacrificed so much for our country.